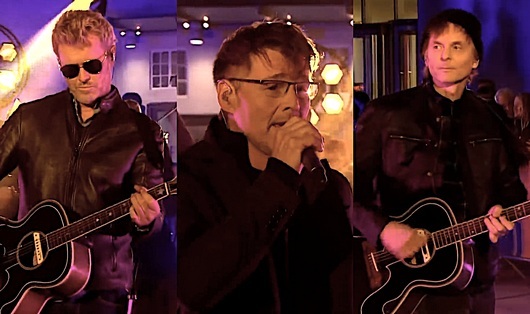 a-ha did a surprise live performance at the Tobacco Dock in London last night, to entertain guests at an Emporio Armani afterparty as part of London Fashion Week. But not unplugged this time. 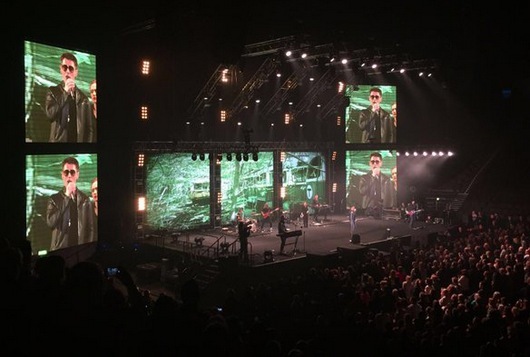 Backed by Karl Oluf, Even and Erik, they played “The Sun Always Shines On TV” and “Take On Me”. Possibly more, but only video clips of those two songs have appeared online so far. 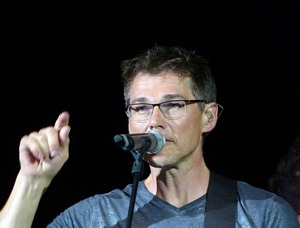 Update: According to an article on wwd.com, a-ha did a four-song set, including “Crying in the Rain”. Also performing at the party was Ellie Goulding. 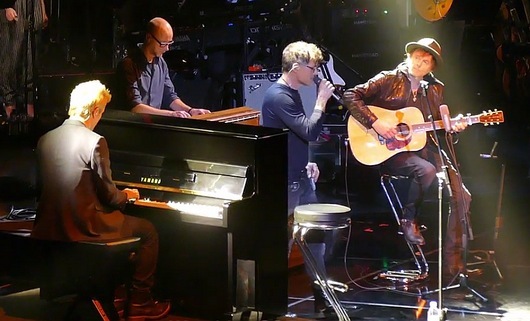 Some pictures of a-ha with Giorgio Armani and Morten on stage have been posted by Emporio Armani on Facebook. 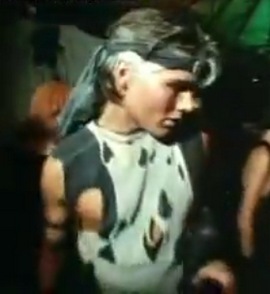 A very early video clip, quite possibly Morten’s first TV-appearance, is currently making the rounds among a-ha fans. The clip in question is taken from a 7-minute report about The Batcave nighclub in Soho, London, which is considered to have been the “birthplace of the Southern English goth subculture”. The report aired sometime in 1983 on the programme “Reporting London” on London Weekend Television (LWT). 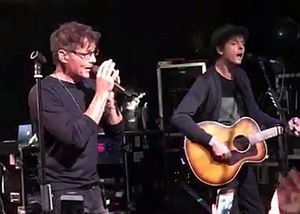 Although the clip was uploaded to YouTube in 2010, it wasn’t discovered until recently that Morten appears in it. He can be seen for a few seconds on the dancefloor, wearing one of his self-designed outlandish outfits from that time. 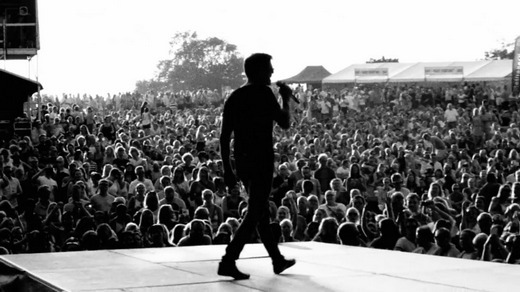 All three a-ha members were frequent guests on the London club scene in the early a-ha years. The clip can be seen on YouTube here. Morten appears at 5:35.